Pole Expo Founder, Creator, Instructor and Businesswoman Fawnia Mondey is a Two-Time Recipient of Las Vegas' Top100 Women of Influence Award. The 6th Edition of the Pole Fitness Expo is the Most Anticipated Event of its Kind Happening in Las Vegas from September 6th through September 10th. Pole Expo is regarded as the largest worldwide event in the entire exploding industry of Pole Fitness. "What started as a part time job in the 90’s has now become my obsession and my true love in life - pole dancing. I am thrilled to have created an event from which both the obsessed and the curious can attend and grow," says Pole Expo Owner Founder & Creator, Fawnia Mondey. Fawnia is quite honestly credited with becoming the world’s First Pole Dancing Instructor. She has been instrumental is expanding the worldwide fitness craze that has been sweeping the globe since its inception. Fawnia was voted LAS VEGAS’ TOP 100 WOMEN OF INFLUENCE 2014 & 2015 and the IPDFA INDUSTRY LEADER OF THE YEAR 2014. Regarded as the largest worldwide event in the entire exploding industry of Pole Fitness, the 6th Annual Pole Expo will wow even a Vegas crowd, taking place from September 6th through the 10th of 2017. Fawnia adds, "Experiencing our Pole Expo 2017 just one time will make fans out of everybody and anybody… especially fitness and dance enthusiasts. It’s addictive and habit forming!" Now in this its’ 6th blockbuster year, Pole Expo has quickly become the 'go to event' celebrating the fitness and dance form that’s changing the world. Pole Expo’s stated mission is to promote pole fitness to the world and bring the best of pole fitness to everybody, experts and newcomers, alike. Pole Expo 2012, 2013, 2014, 2015 and 2016 welcomed attendees from all over the world with over 50 countries in attendance including Canada, USA, Mexico, Venezuela, Brazil, Argentina, Ireland, Germany, England, France, Italy, Greece, Norway, Poland, Spain, Belgium, Austria, Russia, South Africa, Guam, Philippines, Japan and Australia. Throughout the previous years, thousands of pole fitness enthusiasts have participated and crowded the Hard Rock Hotel & Casino Las Vegas just to get a glimpse of these amazing athletes and performers. Pole Expo encourages women and men to develop self-respect and healthy lifestyles through the physical and emotional fitness of pole athletics. Pole Expo is a celebration featuring the annual Pole Classic Competition and a special edition for 2017, the Legendary Pole Star Showcase, honoring the pole dancers who have paved the way, including Pole Expo owner, Fawnia Mondey herself. Attendees experience free workshops and educational seminars. The "Electric Vendor Arena" boasts an endless array of the industry’s best products by innovative designers. Fans will meet all their pole idols and enjoy inspiring performances during Pole Expo which was voted ‘The #1 Event of the Year’ by Volare Pole and Aerial Arts Magazine. Pole Expo is also the winner of the ‘Industry’s Best Award’ by Vertical Art & Fitness Magazine, and ‘Polers Choice Best Event’ by United Pole Artists. The following companies have provided funding and support by providing access to technologies and equipment that has helped Pole Expo grow, playing a significant role in the success and growth of the event. 2017 Sponsors Include: X-Pole, Mighty Grip, Bad Kitty, elevated, Body & Pole, contemPOLEary DANCEWEAR, Liquid Motion and Onzie. 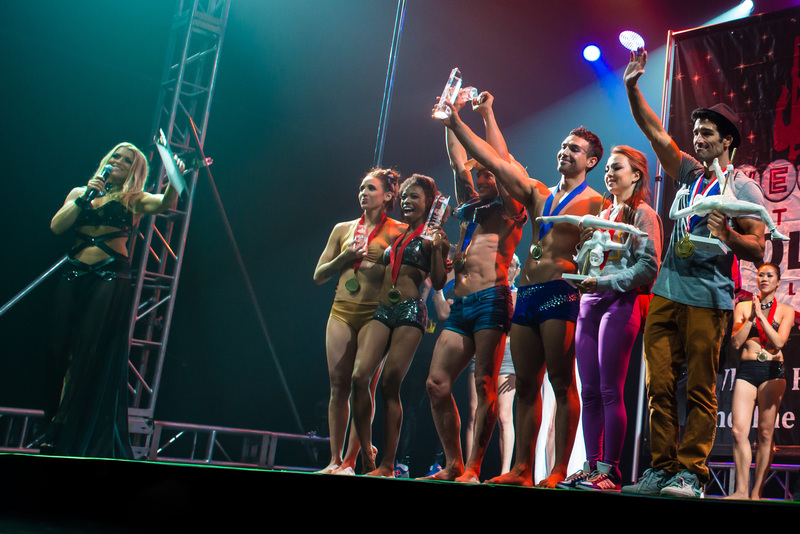 The Pole Classic Competition & Showcase, features 10 female and 10 male athletes competing for the title of Pole Classic Champion, $1000 cash, and a spot competing at the Pole Championship Series in March at the Arnold Schwarzenegger Sports Festival. 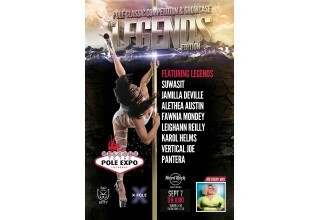 Plus watch our industries legends perform, including Pole Expo owner Fawnia Mondey. Watch: Alethea Austin, Jamilla Deville, Karol Helms, LeighAnn Reilly, Suwasit, Vertical Joe, Pantera! There will never be another night like this.